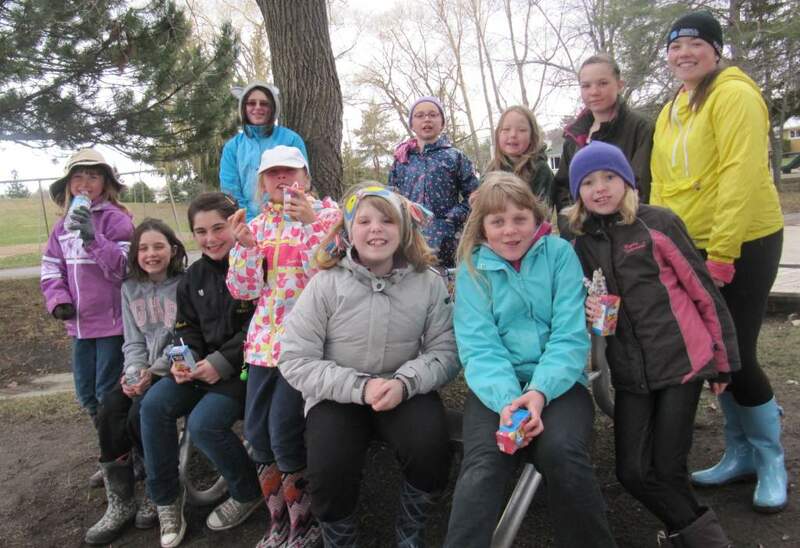 On the morning of April 20th 2013, the 2nd Orleans Girl Guides completed their semi-annual “Cleaning the Capital” project. 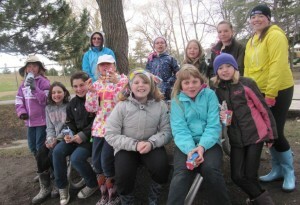 Long-time participants, the Girl Guides have been cleaning Queenswood Heights Centennial Park and the area around the Community Centre for many years. Three years ago, a sign was placed on the Duford side of the park to recognize that the unit officially “adopted” the park. Despite the cold weather, complete with rain, wind and some sleet, these young ladies and their families were not deterred from doing a great job cleaning the area. As you can see from their smiling faces, they truly enjoy this project. This season’s cleanup resulted in the collection of 25 bags of compostable items like leaves and pine needles, and 6 bags of garbage that the girls collected.